The Nature Principle presents a compelling case that a conscious reconnection to nature can make us whole again and that the future will belong to nature-smart individuals, families, businesses, and communities. 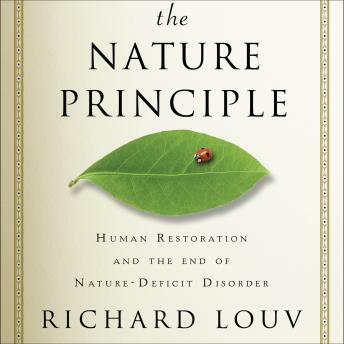 Supported by evidence from emerging empirical and theoretical research and eye-opening anecdotes, Louv shows that when we tap into the restorative powers of the natural world we can boost mental acuity and creativity, heal illness, increase immunity, broaden our compassion, and strengthen human bonds. As he says in his introduction, The Nature Principle is "about the power of living in nature, not with it, but in it. The twenty-first century will be the century of human restoration in the natural world."